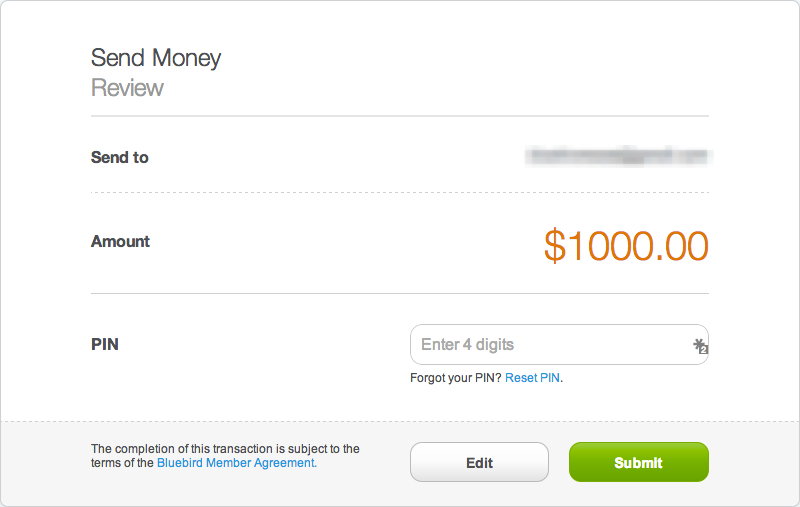 Sending money from one Bluebird to another is quick and easy. 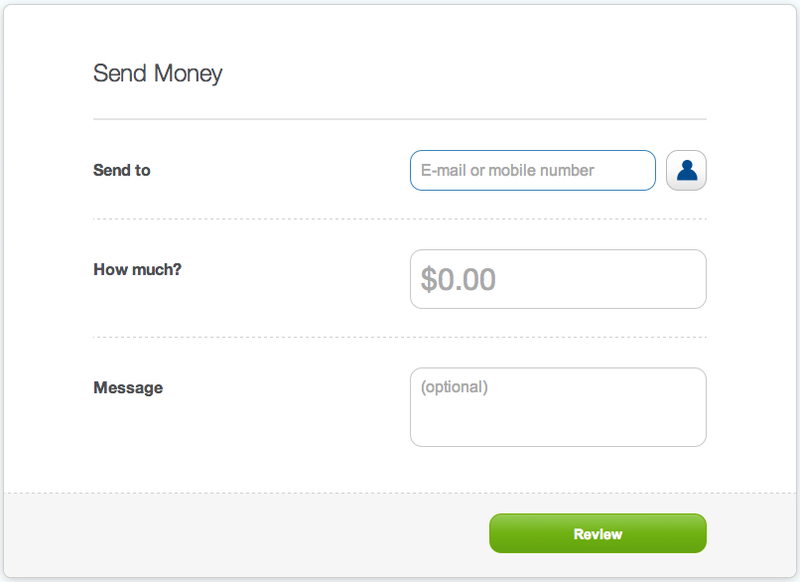 Simply login to your account and click on the Send money button. Enter all the information for the recipient and click Review. The recipient will receive the payment almost instantaneously.